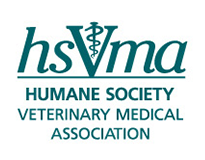 (May 14, 2016) Last summer, during a Skype brainstorming session with my colleague Karen Bradley, DVM, to prepare for an upcoming session we were presenting at CVC, she asked me if I was a member of Not One More Vet. No, I said. I had never heard of it. “Let me send you an invite,” Karen offered. (May 25, 2016) A veterinarian sees a canine patient with severe rib and head injuries whose cause of injury is unknown. Without having witnessed the incident, how can the veterinary professional distinguish an accident from abuse?